Africa’s oldest liberation movement will start its fifty-fourth national conference on December 16, 2017. By the time the delegates leave four days later, Jacob Zuma’s second and final term as South Africa’s African National Congress (ANC) president will have come to an end. He will remain president of South Africa, at least in theory. There’s recent precedent in the ANC to recall the national president if they are no longer party president. It was after Zuma himself ascended to the helm of the party at the fifty-second national conference in Polokwane in 2007 that Thabo Mbeki was forced by the party to step down as South African president. Zuma’s future may be uncertain, but his legacy is not. His presidency has been marred by the state-sanctioned massacre of thirty-seven striking mine workers at Marikana, the near nonpayment of the social grants that 30 percent of the nation relies on to stay alive, the death of more than 140 psychiatric patients as a result of reckless cost cutting, and the politically motivated assassinations of more than sixty people over a two-year period in KwaZulu-Natal province. Yet these events hardly register in accounts of Zuma’s tenure, so steady is the rate of new scandals. The gross mismanagement of state-owned enterprises and the capture of state resources by private individuals through Zuma’s networks of patronage have given the president’s opponents new ammunition. Recently, Zuma prompted the resignation of a senior official in the national treasury after he tampered with the national budgeting process, an unprecedented move for a president. Zuma claims his actions aimed to provide free higher education, but some suggest that his initiative may further burden the already creaking social-grants system and may well deliver South Africa into the arms and terms of the International Monetary Fund. So much for the “radical-economic transformation” Zuma’s defenders still say is on the horizon. Division will be the real legacy of Zuma’s two terms in office. The fault lines tearing apart the ANC are only widening in the lead-up to the conference. The strong revolutionary grounding of the party’s student wing, the South African Students Congress (SASCO), is comparable to the once-radical ANC Youth League, which has steadily reduced its politics to debates over factionalism and party succession. Zuma’s polarizing effect has also worsened schisms beyond the ANC, splintering South Africa’s traditionally powerful labor movement and reducing the Communist Party to confusion. The only self-identifying left-wing political party with any electoral clout, the Economic Freedom Fighters (EFF), has largely limited itself into an anti-Zuma platform insofar as it has occasionally joined ranks with the center-right opposition party, the Democratic Alliance (DA), to spite Zuma’s ANC. In some instances, this alliance has ground local service delivery to a halt. Radical platforms remain at the grassroots. Many farm workers in the Western Cape province, for instance, have joined the Commercial Stevedoring and Allied Workers Union (CSAAWU) — a relatively small union that employs militant class politics in its struggle against some of the most powerful commercial agricultural interests in the country. Abahlali baseMjondolo, South Africa’s oldest social movement, continues to mobilize for more equitable access to land, housing, and services with tremendous success, even in the face of state repression and political assassinations. But a credible left alternative on the scale needed to challenge or replace Zuma — one that might find solutions to South Africa’s economic crisis more generally — remains elusive both within and beyond the ANC. The liberal consensus argues that the path from where we are to where we need to go will depend almost entirely on which of the two frontrunners succeeds Zuma. 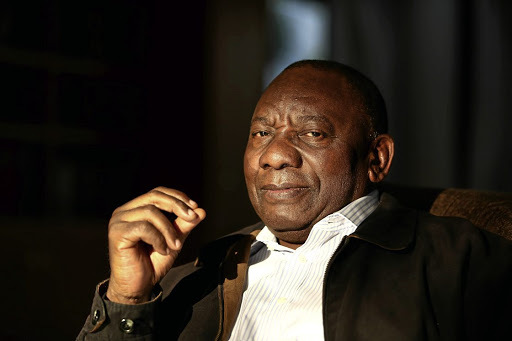 Both of his would-be successors, the former head of the African Union, Nkosazana Dlamini-Zuma, and the country’s current deputy president, Cyril Ramaphosa, claim to be “protecting the democratic revolution.” But each remains loyal to a status quo that has kept most South Africans in economic precarity long after the end of apartheid. As a result, ordinary South Africans have a truncated political spectrum that stretches from Zuma to a host of different not-Zumas. Even the upcoming ANC conference is shaping up in those terms, and he isn’t even running. But much as the end of Zuma’s term is welcome, his successor will not end the suffocating socioeconomic crisis. South Africa’s problems are structural. While Zuma may have worsened them, they preceded him and they will succeed him, too. South Africa’s deepening crisis is not a question of personality politics. But if the end of Zuma’s leadership doesn’t represent an end to the economic crisis, then what’s at stake at the upcoming conference? Answering this question begins with a bald profile of the most urgent concern that his successors will face — the structure of the economy. Since the fall of apartheid, South Africa has steadily cemented itself as the world’s most unequal society. The top 1 percent of earners take home 17 percent of all income, and the top 10 percent earn 60 percent. The picture gets even worse when it comes to wealth inequality. The top 1 percent own 67 percent of all wealth in South Africa, while the top 10 percent own 93 percent, giving the country a wealth Gini coefficient of 0.95. Inequality between countries is generally much starker than inequality within countries, but not so in South Africa. It is the only country on the planet where the national levels of wealth inequality mirror global rates. In other words, the richest people in South Africa are among the richest in the world, and the poorest are among the poorest. While the world’s developed nations were widely distributing resources for much of the postwar period, stimulating aggregate demand and growth, the South African apartheid state oversaw the most sophisticated legal and economic structures of racism the world had ever seen. This structure — which excluded most South Africans — created severe economic issues. Only around 20 percent of South Africa can be considered middle class. The government’s own figures show that more than half of South Africa’s population is poor, and one in four struggle to pay for food. Independent estimates suggest that poverty levels approach 70 percent and that half of the population is chronically poor, meaning they aren’t likely to move out of poverty. This poverty still largely reflects the racial categories legislated during the apartheid years. A great majority of black Africans live in poverty, while only 1 percent of whites do. This kind of rancid poverty and inequality makes sense once you look at the unemployment figures. This year alone, more than one in every three people was out of work. When we include underutilized labor, this number grows to almost 40 percent. Furthermore, the economy radically favors the top 5 percent. Around half of South African workers now earn less than $1.44 per hour, which will become the country’s first national minimum wage on May 1, 2018. The top 5 percent on average earn fifty times more than the lowest paid group. Incomes have soared at the top end of the economy and crashed at the bottom. As wages for the top 5 percent grew 40 percent, pay for the bottom 5 percent fell 17 percent. Despite strong labor legislation, workers at the bottom remain vulnerable to noncompliant bosses. For example, almost 40 percent of domestic workers reported earnings below that sector’s minimum wage. Between 2010 and 2017, the percentage of workers whose salary increases were determined only by their employer rose from 45.2 percent to 55.9 percent. This arrangement keeps wages low and prevents workers from having a say over their salary — not to mention their other working conditions. The state has led the few successful initiatives to address South Africa’s chronic socioeconomic problems. Public-sector employment has increased at a faster rate than private-sector work, and the extension of previously whites-only social security to the entire population has done the most to reduce poverty and inequality. But even these meager gains are now under threat. Reports suggest that Zuma’s national budget will cut funding for housing and social grants. More broadly, the ANC is adopting austerity measures and considering privatizing some state-owned enterprises. The task of dismantling the liberal consensus that South Africa’s calamity is a personnel crisis rather than a structural one has become urgent. Jacob Zuma is not South Africa’s only problem. South Africa faces more of the same, regardless of who emerges as the ANC’s fourteenth president on December 20.